Sunset Portraits at Camp Lucy in Dripping Springs Texas by Al Gawlik Photography. 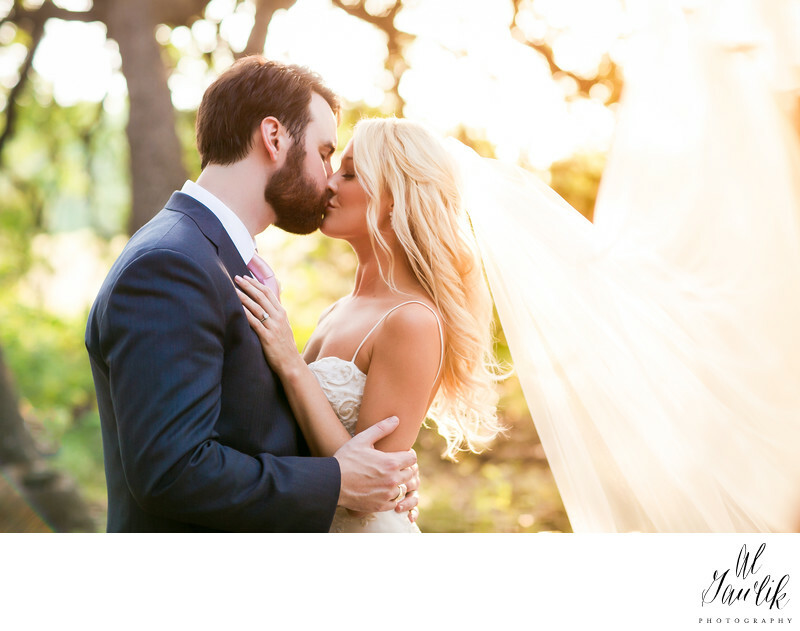 The gentle breezes lift the veil and the soft background frames the bride and groom in the afterglow of the wedding. The hands and kiss tells the story of the love that this couple shares and our photographer was right there to capture the memory for all time.